Robot has been seen in the Heights around 14th Street and Heights Boulevard. 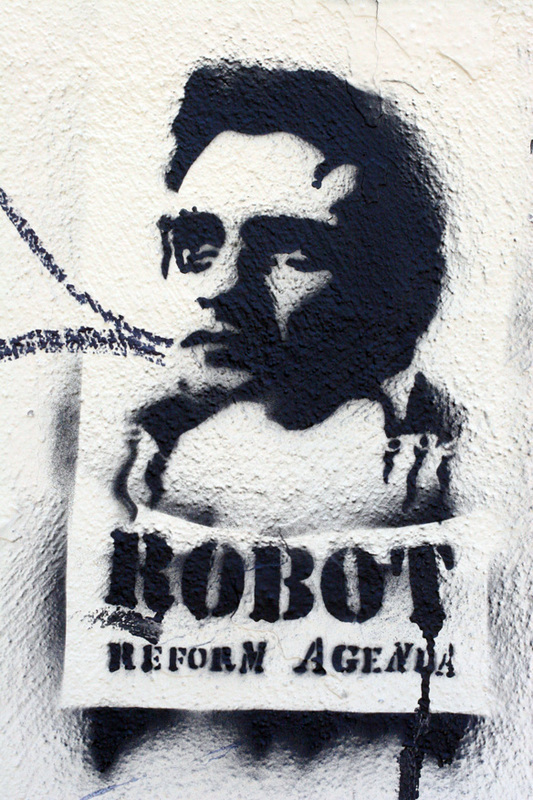 Robot bears stylistic and subject matter affinities with Revolt. 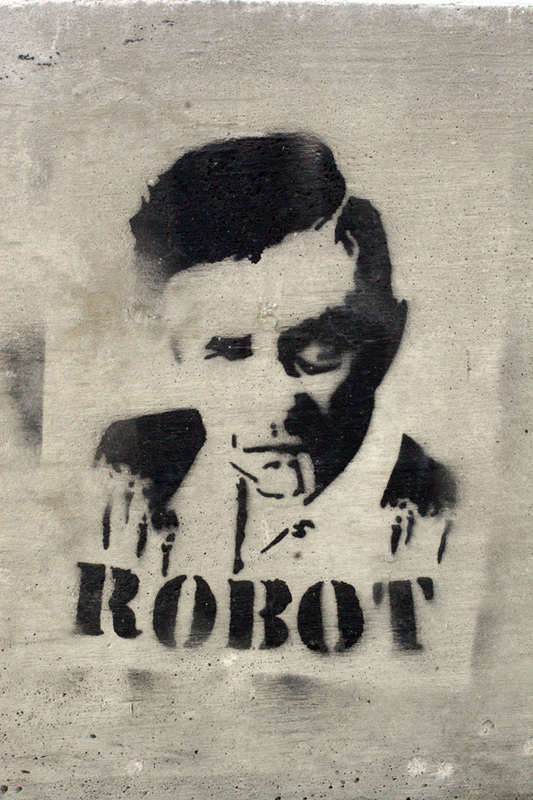 Both possess a graphic style and masterful use of stencil technique.